We are able to guarantee an internship placement, by working with many companies who take students through ‘Internship In Brighton’. Once you select an internship placement that’s suitable, we will do everything else. You can relax knowing that we are taking care of the internship and, if booked, accommodation, school and the mentoring service’. An important & complementary part of our internship service is to ensure we have a process in place that both the intern and company are aware of that offers a support structure to ensure that any problems are dealt with efficiently if & when they occur. 1. On booking we encourage the intern to ask any questions about the internship to us and the company that will ensure they are fully informed as possible about the expectation of the company, the workplace and the work duties. 3. We offer a mentoring service to the intern by e mail, phone, skype or face to face through the period of the internship offered advice and support. We also offer professional counselling sessions if we feel this would be more appropriate and if needed with qualified counsellors/practitioners. 4. We have a 24/7 phone support line (mobile call rate usually applies). 5. Upon completion of the internship we issue a certificate to the intern to ratify the successful completion of the internship period signed by us or representative of the company, based on a general level of satisfaction as related to the placement contract. A report may also be written by the company on the student interns key successes and any perceived weaknesses. This then gives the intern something positive to work towards. 6. We will ask the intern to complete an evaluation form in respect of the services provided by IIB and their time with the company to help us better plan service provision in the future. We constantly monitor the companies for any changes of staff, company policy and direction and other areas that may alter or substantially affect impair or improve the interns experience. We recommend the appointment of an internal company mentor wherever possible also. You can take advantage of a customised Business Connections package designed around the specific needs and requirements of a specific college business course, whatever you are studying or interested in. Generally these are for group bookings but we also can fit individual students in as well on courses. Take advantage of our exciting customised packages to engage and educate student groups in a vibrant and new cultural environment. Highly successful programmes to date have been 3-4 weeks in length, and provided a mixture of high quality business seminars and practical learning. 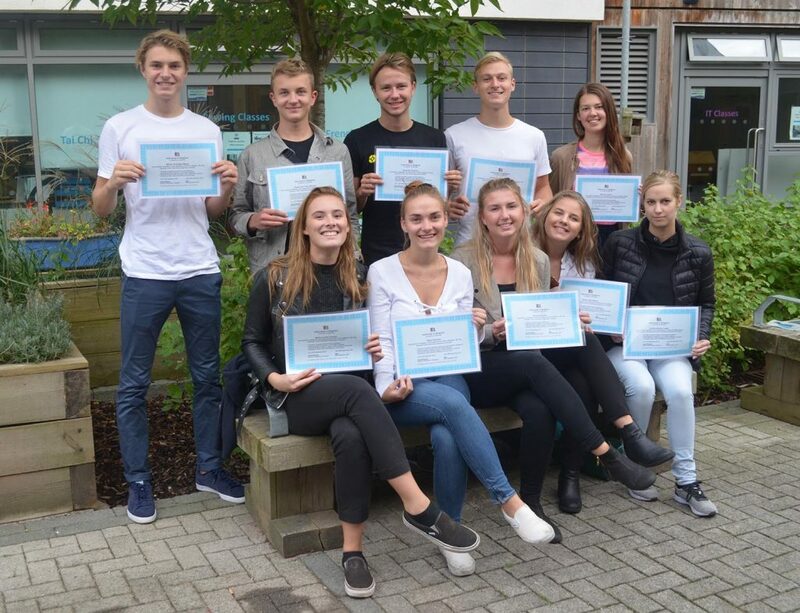 As an option, an internship programme tailored to each individual during their stay gives the student an insight into English working practice and life. A final project and presentation, if requested, provides the chance for teams to compete for a certifiate of excellence . Visits to business venues, cultural outings and social events all add to a truly worthwhile experience. By arrangement student groups can be accompanied by their own tutors if required. All the package elements have proved hugely successful, fun and rewarding. We can also create a tailored package for you. Projects: The visit can conclude with the preparation and competitive presentation of a relevant project to fellow students and staff at IIB . Internships: Tailored to their chosen study area , interests and ability . • Cultural and social activities: We make full use of the varied and colourful City of Brighton and neighbouring National Park. Optional English language classes. • Welcoming and homely accommodation arranged in advance. One to one mentoring and 24 hour support. The costs will depend on the length of stay , content and also number of students, but to give some indication we can offer student seminar sessions to a group of 10 from around £40 each a day. The internship, if carried out as part of the package is uncharged for, after an initial registration fee of £115 is paid per student. Accommodation with a host family is available from £15 per student per night, a little more usually in shared flats but this is seasonal. Please ask us for a tailored, costed quote. We at ‘Internship in Brighton’ aim to offer you a great service as we work with established and supportive local companies and communities, offering business packages, internships & cultural programs along with accommodation in a host family or shared flat, ESL language school lessons and related guidance, supervision and mentoring. All those involved in our company have had many years of placement experience, assuring all students the highest levels of satisfaction with all aspects of our service. Ranging from internship placements in local businesses to cultural and leisure packages, there is bound to be something that would benefit your students!